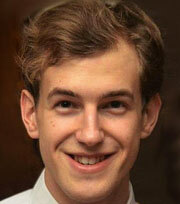 Travis graduated from the University of Leeds with a BSc Medical Sciences degree. As part of his programme he undertook a placement year with Eli Lilly, investigating the pharmacological modulation of glutamate receptors in HEK cells and hippocampal neurons. Following this, he carried out a summer research internship examining the effects of HDAC3 inhibition on tubulin acetylation and dynamics in PC3 cells. His final year dissertation project looked at the effects of amyloid-ß protein on ion channel modulation and cell survival in SH-SY5Y neurons and HEK cells. During his studies, Travis specialised in neuroscience modules and developed an interest in synaptic plasticity and neuromodulation. Travis is now currently working with Dr Jack Mellor, Dr Tony Pickering and Prof Tsaneva-Atanasova to investigate how noradrenaline modulates synaptic plasticity in the hippocampus. Emily graduated from the University of Exeter in 2015 with a Bsc in Biological Sciences, spending her third year abroad at Monash University, Australia. A conference on food security brought this vital area of research to her attention for the first time and inspired her final year project choice. This was a meta-analysis looking at the use of organic amendments in the control of the root-knot nematode, under the supervision of Prof Gurr. At the University of Bristol, Emily is continuing in the area of food security. She is working with Prof Richard Wall and Dr Eric Morgan to develop a systems model which will incorporate farmer behaviour, different farm types and husbandry techniques, to identify optimum management approaches for sheep scab control. Clara graduated from the University of Bristol in 2015 with an MSci in Zoology. As well as her undergraduate degree she has also worked on external projects with the University of Bristol, looking at the spread of the brown argus butterfly in the UK, and travelling to the Falkland Islands to collect and identify reindeer gastrointestinal worms. Clara is now back in Bristol working with Prof Daniel Robert to investigate the mechanisms and ecological importance of bumblebee electroreception. Bumblebees have recently been shown to be able to sense the electric field around flowers. Clara will be testing hypotheses relating to the electrical basis of this plant-pollinator relationship, including identifying the sensory mechanisms involved in charge detection, and investigating the ultimate relevance of electroreception in bumblebee foraging ecology. 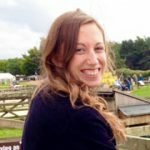 Vikki graduated from the University of Exeter with a BSc in Animal Behaviour and Cognition which led to an MRes at Newcastle University investigating the effects of early-life experience on mood state in European starlings. 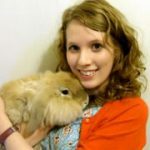 Whilst at Newcastle University, Vikki also worked with the Pain and Animal Welfare Sciences group to help research methods to alleviate post-procedure pain in rabbits. Her current research will combine behavioural experiments with mathematical modelling to investigate the psychological processes by which affective state influences decision making, and the extent to which humans and rodents show similarities in these processes. The project is supervised by Prof Mike Mendl, Prof Iain Gilchrist, and Dr Liz Paul at Bristol University and Prof Peter Dayan at UCL. 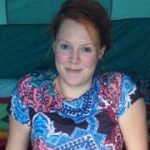 During her Bachelor of Veterinary Medicine degree at the Royal Veterinary College, Sam took a year out to complete a BSc in Veterinary Pathology. It was during this time that she got her first taste of research and she returned to the project in her final year. After working as a vet and an anatomy demonstrator, Sam found the lure of research irresistible and embarked on a PhD at the University of Bristol. Her PhD project focuses on Type 1 Feline Coronaviruses, which are widespread and generally harmless but cause a devastating, fatal disease called Feline Infectious Peritonitis in a small proportion of infected cats. By discovering the cell entry receptor for the virus and building a system in which it can be propagated in cell culture, she hopes to better understand how genetic manipulations affect phenotype and create a platform for vaccine development. 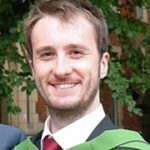 Arne graduated from The University of Leeds in 2014 with a BSc in Biochemistry, before then completing an MSc in Molecular Neuroscience at The University of Bristol. Arne’s research project aims to develop a highly manipulatable 3D cell culture system – the hydrogelating self-assembling fibres (hSAFs) – that will model the extracellular matrix in vitro, by forming a supportive scaffold for cell growth. The hSAF gel system has been developed in the Woolfson group and can be functionalised by attaching molecules to the extracellular scaffold. Arne aims to functionalise the hSAFs in order to direct the growth of primary neurons in culture and form ordered networks that can then be utilised as a tool for cell biology. Arne is supervised by Prof Henley and Prof Woolfson. Emily graduated from the University of Bath in 2015 with a BSc in Biology with Professional Placement. Her placement year was spent working as a field trials assistant for Eurofins Agroscience Services, where she carried out pesticide trials on a variety of crops at sites all over the country. On returning to Bath Emily joined Dr Ruth Massey’s lab for her final year project, where she studied the genetic basis for toxicity in the human opportunistic pathogen Staphylococcus aureus. Having thoroughly enjoyed the project Emily re-joined Ruth’s lab as a PhD student this year, where she is continuing the work she started in her final year project. Over the course of her PhD, Emily will also be setting up a similar project to study the genetic basis for toxicity in a different opportunistic pathogen; Streptococcus pneumoniae. Katy graduated from the University of Bristol in 2015 with an MSci in Pharmacology with Study in Industry. 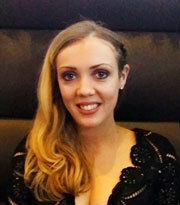 During the course of her degree, Katy spent a year working in the pathology department of AstraZeneca’s oncology research site, Alderley Park, where she used various immunohistochemical techniques to investigate signalling pathways downstream of a tyrosine kinase receptor. To pursue her interest in cell signalling and the mechanics of how receptors function, Katy is currently working with Prof Eamonn Kelly and Dr Richard Sessions to perform molecular dynamics simulations of the mu opioid receptor. The aim is to gain an understanding of the nature of ligand bias at this clinically important G protein coupled receptor. Kiah carried out her undergraduate at the University of Sussex and spent a summer working at LASI, the Lab of Apiculture and Social Insects. Kiah helped with research colony maintenance, decoding waggle dances and social outreach projects. This and her dissertation project looking at pheromones in leaf cutting ants really fuelled her desire to work with social insects. For her PhD, Kiah is now studying the effect of neonicotinoid pesticides on bumblebee circadian rhythms. This will involve behavioural studies on bumblebee foraging rhythms in parallel with study of the mechanism of action of neonicotinoids in the brain using fruit flies. Catherine graduated from the University of Bristol in 2015 with a BSc in Cellular and Molecular Medicine. Her final year project in Dr Jim Spencer’s lab investigated the broad spectrum inhibition of clinically important Metallo-ß-lactamases using Kinetic and X-ray crystallographic techniques. During this project she solved her first crystal structure. Her current research now explores the reactions of clinically important ß-lactamases, in particular Carbapenem hydrolysing enzymes (carbapenemases). These enzymes are often produced as the main resistance mechanism in Gram-negative bacteria. ß-lactamases that hydrolyse Carbapenems, the newest and most potent of the ß-lactam antibiotics are disseminating. ß-lactamase complexes will be studied computationally using QM/MM and MD simulations on available crystal structures under the supervision of Prof Adrian Mulholland. To compliment the computational data, Catherine will be using X-ray crystallography and steady-state kinetics with Dr Jim Spence to further study ß-lactamase complexes. Siobhan graduated from the University of the West of England in 2016 with a BSc in Biological Sciences. During her undergraduate studies, Siobhan completed a year in industry, working under Dr Stefan Bagby at the University of Bath. This year involved biochemical protein studies of HACE1 and glycation studies in Manduca Sexta which inspired her to embark on a PhD at the University of Bristol. Her PhD focuses on the protein Ubiquitin C-Terminal Hydrolase L1 (UCHL1) which is an important deubiquiting enzyme present in neurons and the brain. Loss or dysfunction of UCHL1 results in axonal dystrophy particularly in spinal neurons. The aims of the PhD are to understand the molecular basis of UCHL1 function in axonal maintenance and dysfunction using confocal imaging to correlate phenotypes to ageing deficits. Another aspect will determine the interaction partners or any proteins regulated by UCHL1 to give more of an insight into this enigmatic protein. Alice graduated from the University of Bristol in 2016 with a Bsc in Biochemistry. As an undergraduate she spent a summer working at Diamond Light Source, the UK’s national synchrotron facility. She then completed her final year project in the Wolfson Bioimaging Facility with Dr Paul Verkade, learning a range of light and electron microscopy techniques. Her research now is in the area of structural biology, as she investigates the structure of the Insulin-like Growth Factor 2 receptor (IGF2R/M6PR) and its interaction with the IGF2 ligand. This research is carried out with Prof Matt Crump in the School of Chemistry and with Dr Paul Race in the School of Biochemistry. 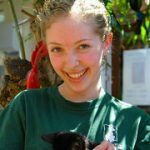 Rachel graduated from Birkbeck, University of London in 2014 with a BSc in Biodiversity and Conservation, before then completing an MSc in Evolutionary and Behavioural Ecology at the University of Exeter, Penryn Campus. Rachel is now working towards a PhD at the University of Bristol where she is combining her interests in animal behaviour and parasitology, investigating spatial interactions between livestock and their environment as a determinant of parasitic disease risk. The project, supervised by Dr Eric Morgan and Dr Christos Ioannou, involves fieldwork to monitor sheep behaviour using GPS collars, accelerometers and behavioural observations, as well as parasitological laboratory analysis and data analysis to explore how parasite load is associated with space use and movement. Laura graduated from Cardiff University with a BSc in Neuroscience. During her second year she went to the University of Wisconsin and shadowed PhD students who were interested in the HPA axis and glucocorticoids. 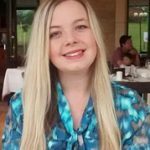 After completing her bachelor’s degree, Laura went on to graduate from Bristol University with an MSc in Applied Neuropsychology and work as an Assistant Psychologist for the Devon Partnership NHS Trust. For her PhD, Laura will use her understanding of neuroscience and psychology to investigate the significance of physiological pulsing of glucocorticoids on locus coeruleus activity. Hopefully this will help us to understand how the dysregulation of glucocorticoids might lead to aberrant activity of motivational and autonomic circuits in disease states. 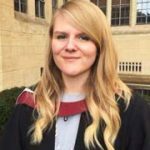 Bethany graduated from the University of Bristol in 2016 with an MSci in Biology. During her studies, Bethany specialised in plant sciences and in her final year carried out a research project which analysed the effectiveness of CRISPR to knock-out meiotic genes in wheat. 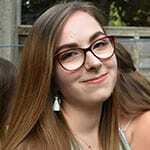 Alongside her undergraduate degree, Bethany also undertook work as a research assistant in the Molecular Plant Biology group at the University of Southampton, whose research focused on characterising genes involved in chloroplast biogenesis in Arabidopsis thaliana. 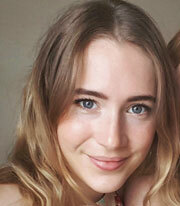 Bethany also collaborated as a co-researcher on a social sciences project, which explored the role of digital diversity and sense of belonging to the University of Bristol in non-traditional students. To pursue her interest in plant sciences, Bethany is currently working within the Root Development group at the University of Bristol. Bethany’s interdisciplinary PhD project hopes to identify and characterise root traits which contribute towards root-soil cohesion in Arabidopsis thaliana. Barbara graduated from Cardiff University in 2016 with a BSc in Biochemistry including a Professional Training Year. During her placement year, Barbara worked for a year at AstraZeneca in Mölndal, Sweden, where the focus of her project was optimising intracellular protein expression in mammalian cell systems in comparison to the baculovirus insect system. At the University of Bristol, Barbara will work with Prof Imre Berger in the generation of a streamlined synthetic baculovirus genome for the purpose of improving protein production. The project involves a collaboration with AstraZeneca, which will offer the state of the art CRISPR system for the genome engineering required to complete the task. 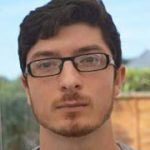 George graduated from the University of Bristol in 2015 with his undergraduate degree in Biochemistry. He worked briefly at King’s College London in the field of immunology, before returning to Bristol to begin his PhD, supervised by Dr Ross Anderson and Prof Adrian Mulholland. George is now working on the design of de novo oxidoreductase proteins. These haem binding proteins are developed from basic protein scaffolds, with the goal of engineering powerful functional activity into the design. While the designs are sometimes influenced by natural proteins, the main aim to produce catalytic structures with novel properties, un-tested by natural evolution. Rachel graduated from the University of Bristol in 2015 with an MSci in Biology. Her final year project in the Trypanosome Research Group led to the rediscovery of Trypanosoma suis, a parasite that had not been seen for over 60 years. Following her MSci project, during which she developed two highly sensitive detection tests for T. suis, Rachel co-authored a paper with Prof Wendy Gibson, published in Infection, Genetics and Evolution. 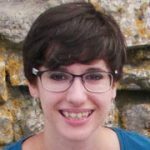 Rachel has returned to the University of Bristol to continue her work on T.suisand aims to characterise this relatively unknown pathogen, exploring its developmental cycle, host range, distribution and pathogenicity. 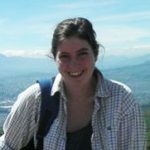 Trypanosomiasis has a devastating impact on livestock in sub-Saharan Africa; Rachel will use the newly-identified isolate of T. suis to expand understanding of the evolution of tsetse-transmitted trypanosomes, drawing on genomic and transcriptomic data from collaborators at the University of Exeter and Cambridge University. 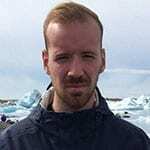 Erik graduated from the University of Cambridge in 2016 with a BA & MSci in Natural Sciences. He did his third year project with Dr Daniel Nietlispach; investigating the motions of the looped regions of Sensory Rhodopsin using 19F NMR. He went on to do his MSci with Prof Sir Tom Blundell; targeting MabA (FabG1) from Mycobacterium tuberculosis with a fragment based approach. Having joined the Crump lab in Bristol Erik is working on NMR to study ligand binding to GPCRs and how this may be useful to the drug discovery process. This is a joint project between the University of Bristol and the CASE partner UCB Pharma. Angela graduated from the University of Lisbon in 2015 with an MSc in Biotechnology. As part of her programme she spent a year working in the biocatalyst group in the Institute for Bioengineering and Biosciences (Lisbon, Portugal). During her studies, Angela specialised in the immobilization of inulinase in polyvinyl alcohol and in chitosan polymers for sugar production. 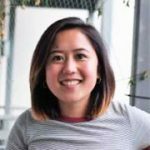 To pursue her interest in protein characterization and enzymology, Angela is currently working with Dr Paul Curnow and Dr Paul Race to study the structure and function of the alcohol acyltransferases from yeast and fruit. The aim is to gain an understanding of this enzyme family. 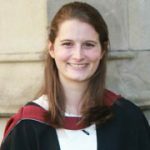 Ashley graduated from the University of Sheffield in 2016 with an MBiolSci in Biochemistry and Genetics. 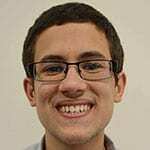 During his course Ashley carried out various research projects including analysing protein-protein interactions in the yeast Saccharomyces cerevisiae and characterising fluorescent neurons in mouse nervous tissue. Ashley became particularly interested in plant cellular signalling pathways after studying the CLAVATA signalling system involved in regulating plant growth and development. 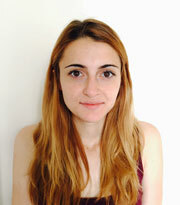 Ashley is currently working under the supervision of Prof Alistair Hetherington in the University of Bristol. Ashley’s project focuses on reactive oxygen species and their role in regulating the opening and closing of stomata in the plant Arabidopsis thaliana. These microscopic pores (stomata) are mostly found on the underside of leaves and are involved in modulating gas exchange and plant metabolic processes in response to changing internal and environmental conditions. 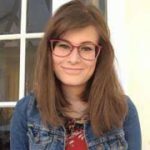 Georgiana graduated with a BSc Biomedical Science from University of Essex where during a placement project she got to experience first-hand what scientific research entails. While investigating the properties of rhodopsin, a photopigment causing neurodegeneration, Georgiana quickly became interested in the complexity of the nervous system. This led her to pursue an MSc Molecular Neuroscience at the University of Bristol during which she had the opportunity to learn more about neuronal imaging techniques by looking at cellular markers of neuronal development. Convinced a career in research would be ideal for her, Georgiana is now working under the supervision of Dr Jonathan Hanley towards deciphering the molecular interactions of PICK1, a scaffold protein regulating neuronal trafficking events that underlie memory formation. In order to achieve this, she will be using live imaging techniques to describe the various interactors of PICK1 and develop a computational model in collaboration with Prof Krasimira Tsaneva-Atanasova. Following completion of a 3 year Biochemistry BSc at the University of Bristol, Lucy stayed and undertook a 12 month research internship with Prof Mark Dillingham in the DNA-Protein Interactions Unit. This followed on from her undergraduate work looking at the activity of a helicase protein found within Bacillus subtilus but evolved into looking at new targets to reduce antibiotic resistance. Lucy has now moved downstairs to the world of structural biology where she works with Prof Imre Berger, Prof Ian Collinson and Prof Christiane Berger-Schaffitzel to elucidate the structure and mechanism of the SecYEG-SecDFYajC-YidC Holo-translocon, a bacterial super-complex responsible for protein insertion and secretion through membranes. 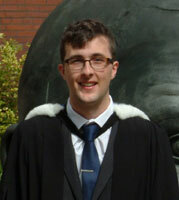 Matthew graduated from Newcastle University in 2016 with a BSc in Pharmacology. 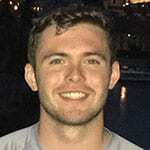 During the course of his degree Matthew carried out a summer studentship investigating novel endoribonuclease candidates involved in ribosome biogenesis before developing an interest in neuroscience. This led to a final year project investigating the co-localisation of cannabinoid 1 receptors and 5-HT neurones in the Dorsal Raphe Nuclei of rat brains. Matthew is now working with Prof Jack Mellor, Dr Emma Robinson and Prof Krasimira Tsaneva-Atanasova to investigate the changes in neurocircuitry caused by early life adversity. Abuse and neglect in childhood is known to increase susceptibility to a range of psychiatric diseases including anxiety and depression and by understanding the process through which this happens Matthew hopes to inform new therapeutic strategies. 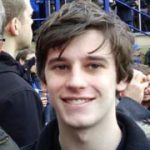 Alan graduated from University of Manchester in 2017 with an MSci Genetics, where he studied the importance of considering the functional relationships of proteins when analysinghuman disease. 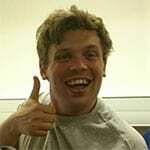 It is the evolution of genomes and systems that most interests him. 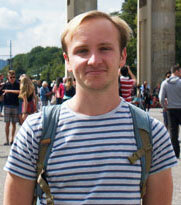 He will be studying genome evolution during speciation in the group of Prof Davide Pisani, on the SWBio DTP programme. Using species with geographically isolated populations, he will be comparing the rates of evolution among the speciating lineages and comparing them with mainland populations. This will inform the field of study concerned with calibrating the tree of life in time. 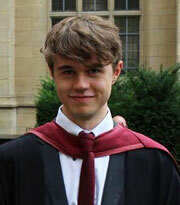 Alex received a BSc in Biology from the University of Bristol in 2017. In the summer of 2015, he undertook a curatorial role at The Natural History Museum, primarily focussing on the organisation of caecilians from the Seychelles. He then went on to perform an extensive study on the metazoan phylogeny in the summer of 2016, in which he utilized novel phylogenetic techniques to try and shed light on the controversial placement of the comb jellies. Alex’s PhD project centres around the functional genomics of wheat, specifically on the characterisation of genes involved in segregation distortion. This is a phenomenon in which some loci deviate from Mendelian ratios in progeny, and can thus have negative implications for the wheat breeding process. Naomi graduated from the University of Bristol in 2017 with a BSc in Pharmacology. 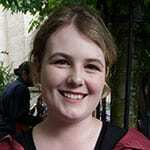 During her undergraduate degree she worked on a 10-week research project, at the University of Bath, funded by the British Pharmacological Society. This project involved working closely with Emma Robson (a final year SWBio DTP student) and Prof Roland Jones on their investigation of neural oscillations in the entorhinal cortex. This built both an interest in neural communications, and (some) patience for electrophysiology! 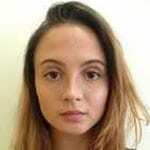 Naomi’s PhD will be determining the pathways and synaptic mechanisms of the prefrontal cortex in recognition memory, supervised by Prof Zafar Bashir and Prof Clea Warburton. Megan graduated from the University of Exeter in 2017 with a Bsc in Medical Sciences. She undertook her final year project under the supervision of Professor Robert Pawlak, studying the expression of proteins in areas of the brain that control stress and anxiety. 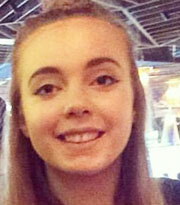 From this, Megan developed an interest in the biological mechanisms behind mental health disorders. 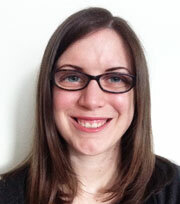 Megan’s PhD is based at the University of Bristol, in collaboration with the pharmaceutical company Eli Lilly. The project will investigate whether changes in biological rhythms that underlie endocrine and sleep patterns lead to the development of apathy. The project is supervised by Dr Emma Robinson, Prof Stafford Lightman and Dr Hugh Marston. Glyndwr graduated from the University of Bristol in 2017 with a BSc in Biology. During his undergraduate study he undertook a project which investigated the roles of the Respiratory Burst Oxidase Homologues (RBOHs) C, D and F in the closure of stomata through different biotic stimuli in Arabidopsis thaliana cotyledons. This lead to a deeper interest in plant and stomatal biology. Glyndwr is currently working under the supervision of Prof Alistair Hetherington at the University of Bristol. His project will look at understanding the basis of stomatal adaptation to increased atmospheric CO2. This work will be conducted in both Arabidopsis and wheat. 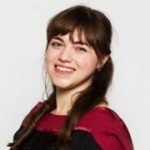 Emily graduated from the University of Birmingham in 2017 with a Masters in Biochemistry. Her research project looked at the protein-protein and protein-DNA interactions involved in plasmid partitioning in E. coli, a mechanism widely used by bacterial populations to maintainbeneficial plasmid-encoded traits. This fundamental mechanism and its role in the propagation of antibiotic resistance sparked a greater interest in the molecular mechanisms of antibiotic resistance. Emily’s PhD project is supervised by Dr Jim Spencer from the School of Cellular and Molecular Medicine and Prof Adrian Mulholland from the School of Chemistry. Using both experimental and computational techniques, Emily will be studying the structure and mechanism of bacterial outer-membrane enzyme MCR-1. MCR-1 confers resistance to colistin, a last-line polymyxin used to treat gram negative bacterial infections. Since the discovery of MCR-1 in China in 2014, it has spread around the world, representing part of the growing threat of antimicrobial resistance. Emily graduated from the University of Cardiff with a BSc in Biomedical Science in 2015. During her time there she developed a particular interest in the field of Neuroscience which led her to pursue an MSc in Molecular Neuroscience at the University of Bristol. For her MSc research project she had the opportunity to investigate the activation of the Fkbp5 gene in the rat brain after acute stress. 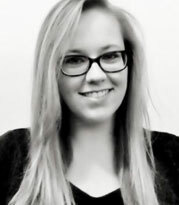 Emily then continued in the same laboratory as a Research Technician before undertaking her PhD which will follow on from her MSc project by investigating the epigenomic and transcriptional mechanisms controlling stress-induced Fkbp5 gene expression in the hippocampus. Fkbp5 is highly relevant for mental health research as genomic variations in this gene are associated with an increased risk of developing stress-related disorders such as depression. 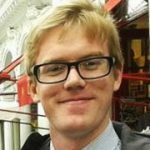 Matt graduated from the University of Bristol in 2017 with a MSc in Chemistry. His final year project was completed under the supervision of Professor Matt Crump where he used gene editing techniques to study the role of proteins within the biosynthesis of the antibiotic mupirocin. Matt has decided to stay at Bristol for his PhD in order to further contribute to the elucidation of the biosynthetic pathway of mupirocin. The aim of this research focuses on the discovery of novel antibiotics to help combat the rise of multiply resistant bacteria. Kathryn graduated from the University of Oxford in 2017 with an M.Biochem in Biochemistry. She completed her final year project in the lab of Professor Elspeth Garman, during which she wrote software to enable the detection of specific radiation damage artefacts and incorrectly identified metal ions within protein crystal structures. 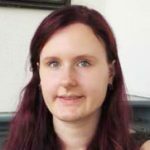 Kathryn is currently undertaking her PhD in de novo protein design with Prof Dek Woolfson, during which she aims to further parametrise the relationship between protein sequence and structure. Stephanie graduated from The University of Edinburgh with a BSc in Neuroscience and from Durham University with a MSc in Cognitive Neuroscience. It was during these experiences that she discovered her interests in learning and memory and how animal models can be used as a powerful tool to help elucidate the underlying mechanisms. 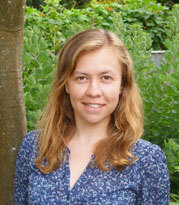 This prompted Stephanie to pursue a PhD project at The University of Bristol in the same area. The project, supervised by Prof Clea Warburton, Prof John Aggleton and Prof Zafar Bashir, involves investigating the interplay between the brain regions; the hippocampus, nucleus reuniens and prefrontal cortex, and their role in recognition memory – using a combination of behavioural techniques and technologies to manipulate brain function, such as optogenetics and pharmacogenetics. Alex graduated from Cardiff University with a BSc Hons in Neuroscience in 2017. During the penultimate year of her course, Alex undertook a professional training year at Boston University investigating neural contributions to age-related visual decline in Rhesus Monkeys. Upon returning to Cardiff, she undertook a final-year project characterising the expression profile of BDNF in Rat platelets. Her experiences during these projects were central to her desire to undertake a PhD and peruse a career in research. 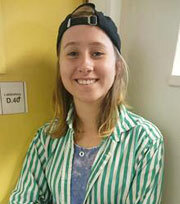 Based at Bristol University, Alex will be studying under the supervision of Dr Richard Apps and Dr Iain Gilchrist, working towards her PhD entitled “The Importance of Neural Plasticity in Ageing”. 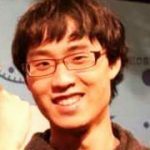 Zongfan graduated from China Pharmaceutical University in 2014 with BSc in Biotechnology and completed his MSc in Synthetic Biology & Biotechnology a year later at the University of Edinburgh. 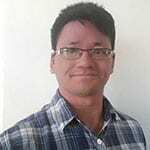 He is interested in biological medicine development thus he worked at a R&D institute of a pharmaceutical cooperation (CTTQ) primarily focusing on quality control methodology development for drug research process and cell line construction. At the university of Bristol, Zongfan is working on the exploration of mechanism and inhibition of the plasmid-mediated colistin resistance determinant MCR-1, supervised by Dr Jim Spencer and Prof Adrian Mulholland. This project involves in silico simulation and experimental validation, which is a great combination of dry lab and wet lab approaches. 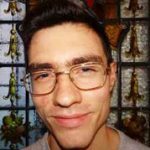 Rob graduated from Imperial College in 2018 with an M.Res in Structural Molecular biology, after a PG.Cert in Protein Crystallography from Birkbeck in 2016, an M.Sc in Biomedical Blood Science at Keele in 2013 and a B.Sc in Biomedical Science at Keele in 2012. Between 2014 and 2017 Rob worked in clinical transfusion and emergency diagnostics, before maintaining the gynaecological tissue bank at the Barts Cancer Institute. His move to research was driven by a subsequent stint in industry as he worked in biopharmaceutical Method Development at UCB as an ELISA expert. Prior to Bristol, Rob was working on the structural characterisation of a Type IVB Secretion System core complex from Legionella with Tiago Costa at the MRC’s CMBI. Rob is currently undertaking his PhD in structural characterisation of streptococcal adhesins with Dr Paul Race, to understand how bacteria are able to selectively choose which surfaces to adhere to. I graduated from the University of St Andrews in 2018 with an MChem in Chemistry with Medicinal Chemistry. Throughout my degree I developed an interest in the interface between chemistry and biology, leading to me undertaking a final year project investigating the applications of the fluorinase enzyme from Streptomyces cattleya, under the supervision of Professor David O’Hagan. Enzyme catalysis represents an alternative method for radiolabelling tracers for PET imaging and the project identified several novel substrates with potential applications in this area. Undertaking this project sparked a strong interest in biocatalysis and the potential of harnessing nature’s biosynthetic machinery to produce useful compounds, thus prompting me to pursue a PhD in this area. The project will be supervised by Professor Chris Willis and will aim to explore the biocatalytic potential of enzymes on the abyssomicin and mupirocin biosynthetic pathways, with a view to producing novel bioactive compounds. In 2018, Calum graduated from The University of Durham with a First Class MBiol degree in Biological Sciences. For his Masters project he conducted research into the role of the chloroplast protein PULP in Arabidopsis thaliana freezing tolerance under the supervision of Dr Heather Knight. In the summer of 2017 he carried out a British Society of Plant Pathology funded project in Prof Katherine Denby’s lab at The University of York investigating the targets of oomycete effector proteins. His interest in plant responses to abiotic and biotic stresses lead Calum to undertake a PhD at The University of Bristol. 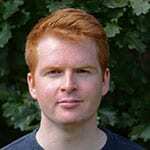 His PhD, under the supervision of Dr Antony Dodd, investigates the relationship between the circadian clock, chloroplast gene expression and cold tolerance in plants. 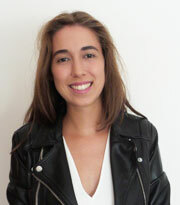 Mathilda graduated from University of the West of England with a BSc(Hons) in Biology. During this time, she developed an interest in cell- and environmental signalling in plants. In her final year project, she investigated the effects of ABA and varying light quantities on photoprotection and movement in a model species alga. 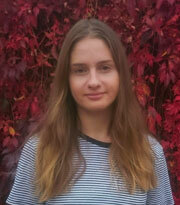 Mathilda completed a Masters by Research at the University of Bristol, where she investigated the effects of high temperature and ultraviolet-B light on stomatal movement and development. Research such as this has application within food security in a changing climate, an area Mathilda is very passionate about. She developed a further interest in photobiology, which lead her to the PhD she is now undertaking. Mathilda is working in Professor Kerry Franklin’s lab at the University of Bristol, where she is investigating how to manipulate light quality to improve crop quality as well as freezing tolerance in a commercial herb. 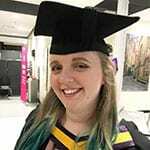 Katie graduated from a 4 year Integrated Masters degree in Biology at the University of Manchester in 2018. Her research project covered the design and production of a novel chloroplast transformation construct, engineered to give Petunia plants enhanced disease resistance against problematic Grey Mold and Fusarium Wilt fungi. Katie is interested in research that seeks to apply genetic techniques to solve plant science issues, and to optimise the genetic transformation process. Katie’s PhD project, “Optimising a universal plant transformation system for orphan crops”, is supervised by Dr Heather Whitney, with Professor Keith Edwards and Professor Carmen Galan. The aim of the project is to optimise a novel plant transformation system to allow: universal usage across plant species, transformation of orphan crops (i.e Sorghum), increased speed of obtaining successful transformants, increased efficiency of transformation, increased transformation possibilities. Abdelwahab graduated from the University of Sheffield with a BSc in Biomedical Science, he then went on to complete an MSc in Space Physiology and Health in King’s College London. Abdelwahab is interested in using model animals to understand the effect of microgravity on human physiology. He is currently working with Dr Chrissy Hammond to explore the use of machine learning and artificial intelligence algorithms to improve the analysis of in-vivo datasets using zebrafish. Chris graduated from the University of Bristol with a BSc in Biology followed by an MRes in Biodiversity, Evolution and Conservation at UCL. His master’s project was based at the Natural History Museum, London, where he investigated the comparative phylogeography of herpetofauna in a Honduran national park. Following a foray into gene editing at the Medical Research Council Chris is returning to Bristol to pursue his interest in evolutionary biology. Chris will work under the supervision of Prof Emily Rayfield to investigate the evolution of venom in solenodons. Solenodons are the only extant mammals that possess a modified dental venom delivery system. This project aims to investigate why solenodons have a venom system, what its function is and how it evolved. Heather graduated with an MSc in Microbiology from the University of Liverpool in 2017 after originally studying Biological Sciences in Reading. Her MSc project aimed to better understand the activity of an enzyme key in Kaposi’s Sarcoma-associated Herpesvirus infection, SOX. During this research, she developed a key interest in microbial genetics and the molecular mechanisms underpinning infectious disease. 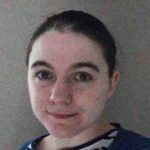 Heather’s PhD project is supervised by Dr Darryl Hill and Dr Katy Turner and aims to understand emergence of antimicrobial resistance within populations of N.gonorrhoeae. She is using a combination of phenotypic and genotypic analysis to ultimately inform a model which can be applied in future therapeutic interventions against gonorrhoea. Nokomis graduated from the University of Bristol in 2018 with a BSc in Pharmacology. During 2017 Nokomis carried out an 8-week research project sponsored by the Wellcome Trust and supervised by Dr Rhiannon Jenkinson, which involved primary culture of mini gut organoids. For her final year project, she worked with Prof Eamonn Kelly looking at novel GRK inhibitors supressing arrestin recruitment to mu opioid receptor. Nokomis’ PhD project will involve looking at novel biased agonists at mu opioid receptor, using in vitro cell signalling studies, in vivo techniques and molecular dynamics simulations, supervised by Prof Eamonn Kelly and Dr Richard Sessions. The aim of the project is to investigate conformational changes at mu opioid receptor triggered by biased agonists and their possible action in vivo. Tia completed her BSc (Hons) degree in Biochemistry at Imperial in 2018. In the summer of 2017, she undertook a project with the Collinson Lab at the University of Bristol. This project focused on analysis of the transport of proteins across membranes by the bacterial Sec-machinery. Having developed an interest in antimicrobial resistance during her degree, Tia was especially interested in investigating secretion of beta-lactamases. Tia decided to return to the University of Bristol and is now working under the supervision of Prof Ian Collinson and Prof Matthew Avison. 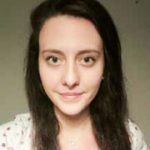 By developing in vivo and in vitro secretion assays, the aim of her PhD project is to analyse the transport of a range of beta-lactamases. Alvin graduated from Cardiff University in 2015 with a BSc in Biochemistry. He developed an interest in protein structure and engineering while on a summer placement, using site-directed mutagenesis to introduce zinc affinity in cytochrome b562. Alvin continued to develop skills in structural biology through an MRes in Biosciences, incorporating unnatural amino acids to capture interacting proteins with the P2X7 ion channel, as well as investigating the structure of the P2X7 C-terminal using computational modelling and X-ray crystallography. Alvin is currently working with Prof Christiane Berger-Schaffitzel and Dr Mark Dodding at the University of Bristol. 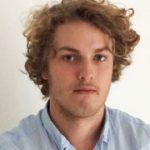 The focus of his PhD project is to determine the structure (using Cryo-EM) and function of the SMG-1-8-9 complex during nonsense-mediated mRNA decay (NMD), a surveillance mechanism that recognises and degrades mRNAs containing premature stop codons. Mutations in proteins involved in NMD result in neurodevelopmental disorders and various cancers.